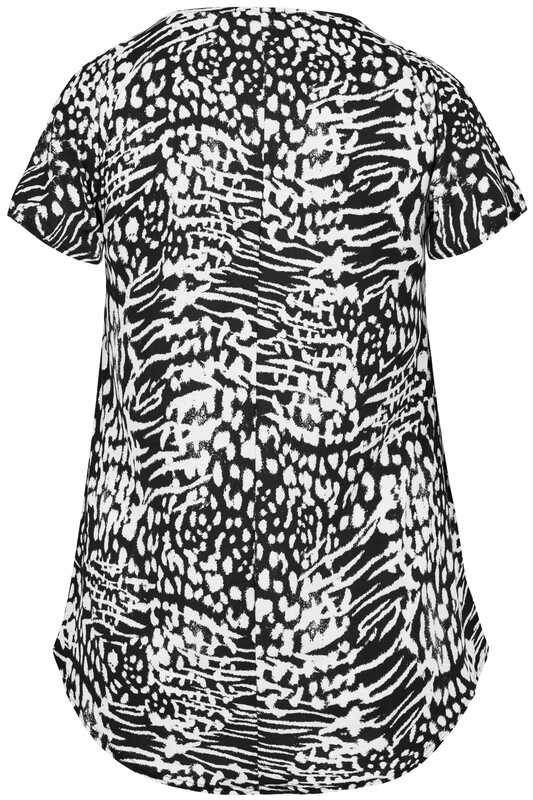 Front length from (approx): 77cm/30.2"
Back length from (approx): 75cm/29.5"
Made from a slinky jersey fabric, this flattering top is perfect for taking you from day to night. Featuring on-trend angel sleeves and a keyhole cut out to the front, team with skinny jeans and mules for a sophisticated look. 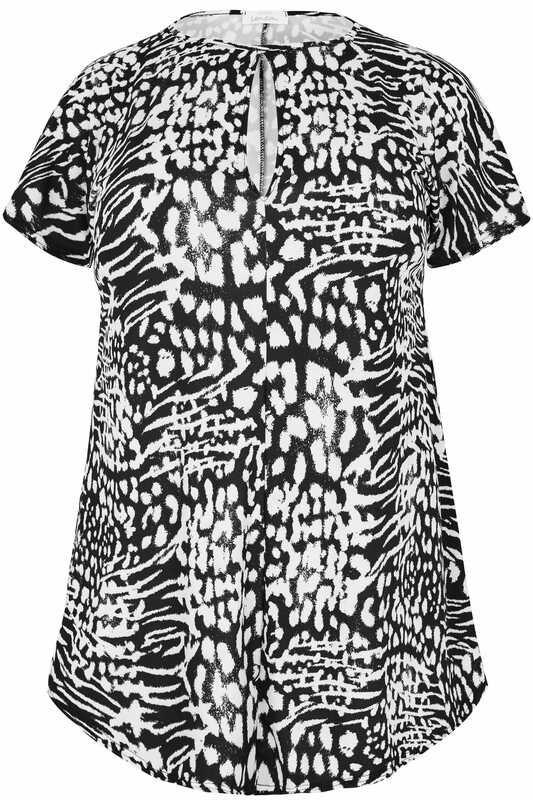 We love the monochrome animal print.